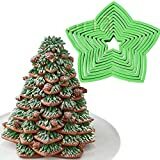 If you've grown bored of making the same old gingerbread house every year, then check out this cool new 3D Christmas Tree Cookie Cutter Kit from Wilton. 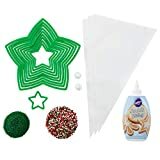 Just use the graduated size cookie cutters to cut ten stars from the cookie dough, bake them in the oven, stack on top of one another using icing as the glue, and then trim your festive 3D cookie tree with icing, sprinkles, and more. 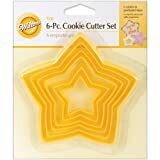 It includes 10 cookie cutters, 3 icing bags, 2 decorating tips, and recipes and instructions. 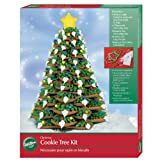 Santa will surely be impressed with a glass of milk and a large Christmas cookie tree to munch on during his long flight.